Official CW spoiler description and promotional photo for the Containment episode "Nothing Gold Can Stay"
The CW has released an official description and one promotional image for “Nothing Gold Can Stay,” the July 5 episode of Containment. COURAGE AND INTEGRITY — Lex (David Gyasi) and Leo (Trevor St. John) clash over their next move after a failed plan threatens to unravel their entire case. When word begins to spread that there may be a way out of the cordon, Jana (Christina Moses) considers her options. Finally, an unexpected turn of events brings Jake (Chris Wood) and Katie (Kristen Gutoskie) closer than ever. Claudia Black and George Young also star. Chris Grismer directed the episode written by Julie Plec & Tom Farrell (#111). Original airdate 7/5/2016. You can find the one photo below. Browse KSiteTV for more Containment coverage! 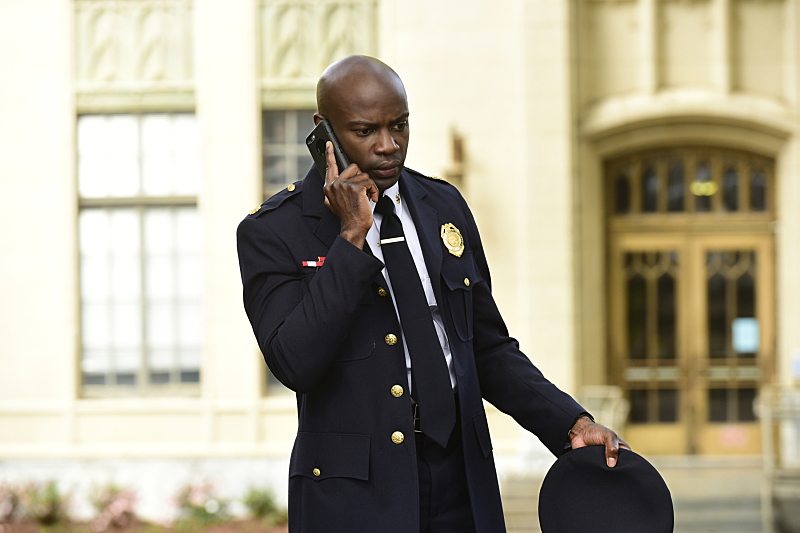 Containment — “Nothing Gold Can Stay” — Image Number: CON111a_0054.jpg — Pictured: David Gyasi as Major Lex Carnahan — Photo: Guy D’Alema/The CW — ÃÂ© 2016 The CW Network, LLC. All rights reserved.